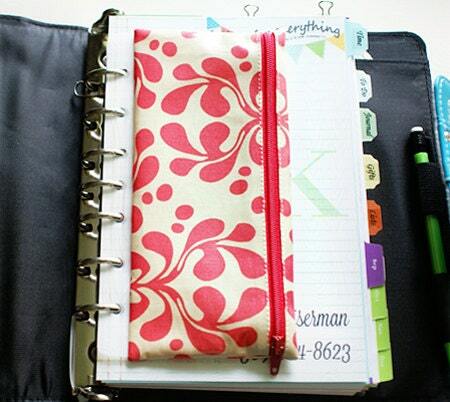 Now there's a way to keep your cash envelope system securely inside your planner! The Plan-It planner wallet has the same design and components as a Divide-It Wallet, only it is attached to a sturdy translucent spine that you punch at home to fit perfectly on your planner's rings or discs. Select your fabric using the link above and type it in the note at checkout so that the processing of your order is not delayed. 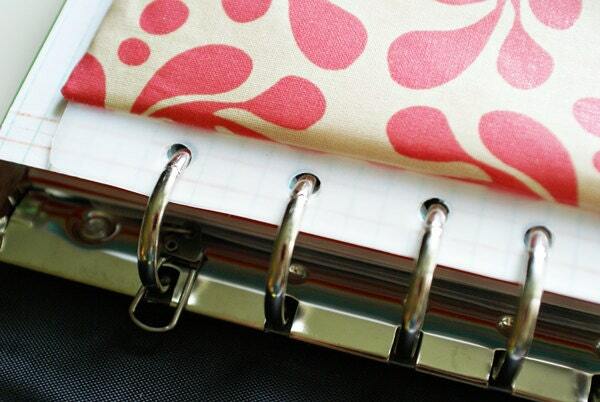 Personal ~ 6 3/4" x 3 1/2" | This will fit planners such as a Filofax Personal/Compact or similar sized smaller planner. The Filofax Personal/Compact sized wallet is a bit smaller than the other styles due to the overall size of the planner. It will hold a little bit less in comparison. ~ Sort receipts by budget category. ~ Organize store loyalty cards, gift cards, punch cards, and coupons! 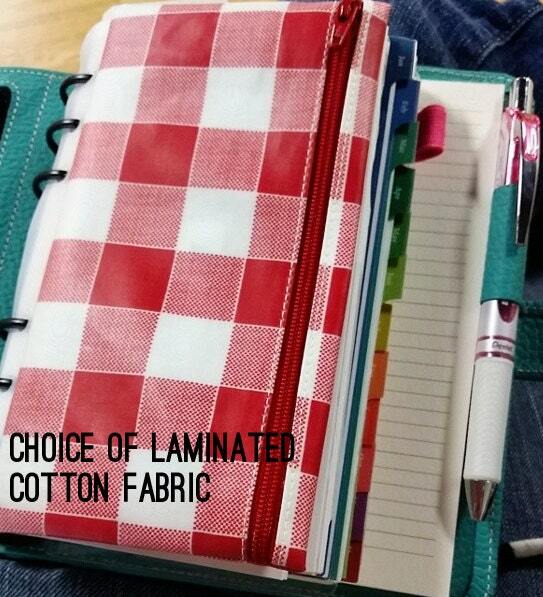 This wallet is made of designer laminated cotton, so it's water-resistant on the outside and can be wiped clean. 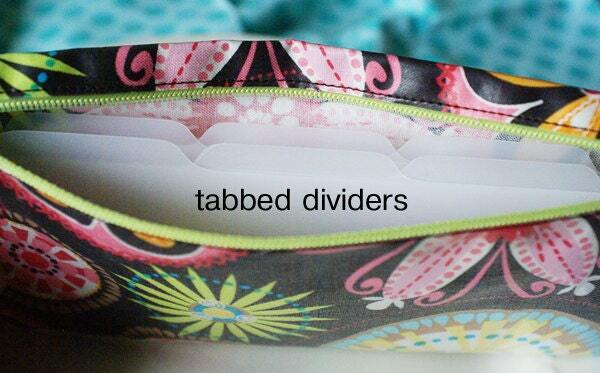 The body of this wallet is not stiff but intentionally very supple, which gives it the ability to expand and accommodate the dividers & cash/coupons while taking up the least possible amount of space in your planner. © Copyright 2013-2019 Melissa Kaiserman. All rights reserved. Exactly what I was hoping for! Very well made. Thank you! Such a cute wallet that fits great in my personal sized filofax!! Thank you so much. Cute TN cash envelope insert.